The Institut Teknologi Bandung's areas is located about 5 km on the north of The Center of Bandung City. 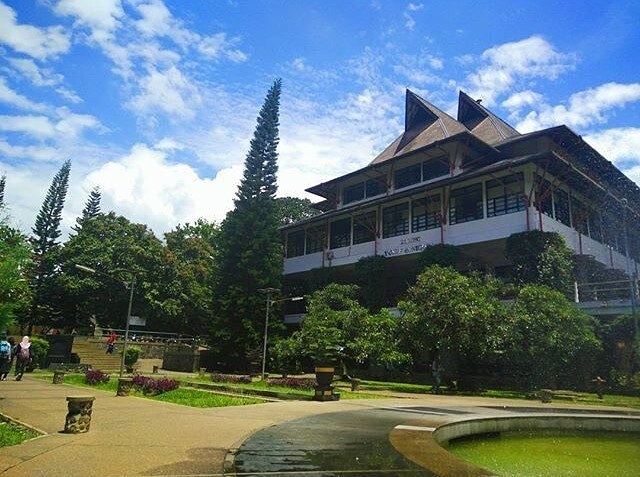 The area of Institut Teknologi Bandung is included on Heritage Area because inside of the campus complex there are two buildings that made by Dutch Architect before the indepence of Indonesia. The buildings are Aula Barat (West Hall) and Aula Timur (East Hall) that made by Maclaine Pond. Beside that two buildings, there are also more buildings that was made by famous architect. Although as fungsional used to college activity, but this area is open for public. You can walk around the campus complex and also take some pictures there. You can also visit center of science and technology demonstration in Sasana Budaya Ganesha area on the campus. For you that want to acompanied by tour guide, you can contact the public relations of ITB (Institut Teknologi Bandung) that can provide you a tour guide.